What Does It Mean To SEO An Article? If you’re trying to find out how to SEO an article that you’ve written before you post it to your blog, you will be happy to know that it isn’t a real difficult task, but it is a very important one. In fact, making sure that your article is properly optimized for SEO can make a huge impact on your organic search term rankings. You’re probably aware that SEO is simply an acronym for Search Engine Optimization. The whole reason that we use SEO is to try to make sure that the search engines (Google in particular) are aware of the contents subject matter that we’re publishing. In turn, this will help them rank it accordingly,(hopefully higher)because if your post is on page 5 of Google, almost no one will see it. Where Is The Best Place To Start With SEO Optimization? Before you start writing a post, the first thing you need to know is keywords that have low competition.Once you know the topic of the post that you’re preparing to write, you will want to figure out which keywords your post will be focusing on. In other words, if you were performing a Google search trying to find the exact content that you’re writing about, what search term would you use? I would recommend that you utilize long tail keywords, as these are going to assist in your rankings on the search engines. If you’re not familiar with long tail keywords, please click on the previous link to learn all about their importance. A great tool that I use for this research is called Jaaxy. You’ve now got a topic and you’ve selected your focus keywords. Believe it or not, that is the hardest part. So let’s move on and discuss how this is all going to be used to SEO your article. Proper usage and placement of keywords is vital to getting your pages ranked higher on the search engines.Just as using keywords is important in the process of SEO, overusing them can be damaging to your post. Techniques such as keyword stuffing, that were used in that past to gain search engine rankings are now part of the search engines algorithms. This means that they will spot those that do it and penalize them! 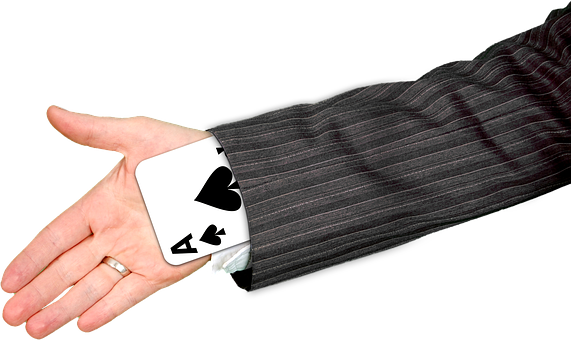 What does it mean to be penalized by a search engine? Your site will be penalized so that all of your rankings will be gone! Your chances of getting ranked for new content nil, Your chances for future organic traffic none, simply said, your site will not be anywhere to be found when people search for your keywords online. Sometimes these penalties will be lifted by submitting a request, but most have a familiar ending. Even if they remove the “blacklisting” of the website, most do not survive and end up closing down. In the long run, it’s just not worth the risk of trying to trick the system. Once you’ve found your focus keyword, use it in the title of your article. If you add it to the front that is optimal, but as long as it’s in there that is what you are after. You will also want to make sure that your title is the appropriate length. You should aim to keep your title around 50 – 60 characters long. This way it will not get cut off in the search results. You can see from the snippet below what I’m referring to. This is how this post appears in Google.Read more on title tags here. The Meta description gives you the opportunity to give your visitors their first impression of your article, as well as your entire site. It should be inviting and give them a reason to actually click on your link over your competitors. You should also place your keyword into the meta description. You’ll want to make sure that the use of your keyword is always natural and never forced. One other thing on the Meta description, it should be under 156 characters in length. This will prevent it from being cut off in the search results. The Heading tags (also referred to as <H> tags) are simply used to apply different header styles to the content within your post. We use these tags to help break up different sections of the article that we’re writing. The attached image shows how to select different <H> tags, as well as showing an example of how the text will appear with any of the available tags applied. The <H1> tag would be used for the title of the page and as previously mentioned, you should have your main keyword in the title. This <H1> should only be used once in your post. If you’re using a WordPress site, the title will automatically be enclosed in the <H1> tag. Within the content of your article, you should utilize the other tags as well. It is also a good idea to use the keyword in at least one other Header tag throughout the page (preferably the <H2>), don’t overdo it though. To help avoid your site visitors from getting lost in a sea of text, it is a good idea to insert some images to help break the page and text up. You can SEO your images by naming a relevant image file so that it contains your main keyword. When inserting an image file into your article, you will also have the opportunity to add an Alt tag. This Alt tag is essentially a way to describe the picture so that a user who has images disabled in their browser will still be able to tell what the image contains. Again, relevancy is important, but you should have your keyword listed in the Alt tag as well. When creating a new post it is a good idea to have the focus keyword in the URL. The great news is that since we are already adding our keywords to our title, it will also be in the URL. This one is really important, probably the most important of all of the SEO tips. So please don’t overlook it. People often times will try to optimize their pages so much for the search engines, that they forget to consider the reader of the content. When writing, one should put themselves in their readers’ shoes. When people are searching for information on the internet, they are looking for help. We, as content writers, should provide that helpful information to them in an easy to read and informative way. It is easy to spot an article that has been over-stuffed with the same keywords and it makes for a very boring read. So boring in fact, that a majority of people will leave your site before ever getting through the first couple of paragraphs. Now ask yourself, what good does it do to put in all of the effort to get good rankings if nobody actually reads the content that is being provided? Another thing that we should be aware of is the bounce rate that a site has. When someone visits a website and then leaves too quickly, or before navigating through any of the pages, other than the initial landing page, that goes against a metric called bounce rate. Websites that have high bounce rates are essentially telling the search engines that the site is not providing the content that people are searching for and the rankings will be impacted because of this. 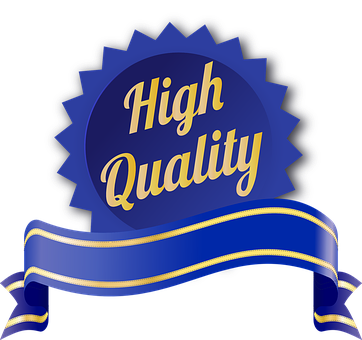 So now that you know how to SEO an article, you should still have high-quality content.Check ways to write content that people read. Google recently had a major update to their search algorithm, referred to by some as “Mobilegeddon”. Basically, what this update was focused on was bringing a quality user experience for those that are searching from a mobile device, such as a smartphone or tablet. Because close to 50% of Google searches are performed from a mobile device, it is important to ensure your website is Google mobile friendly. If not, you will not get any of that mobile traffic. While this isn’t really an SEO tip just for a single article, it is more of a site-wide SEO tip, because if you already know how to write SEO content for website, you should not miss on that traffic because your site is not mobile friendly. Using keyword phrases that are low in competition will be a big help when trying to get better rankings in the search engines. It is much more difficult to rank for one to two-word keywords (also known as head keywords) as you will typically be competing against the larger corporations and sites that are well established and considered to be “authorities”, because of their age and amount of content that these sites will have. There are a number of tools that can assist with the research of keywords, I personally use Jaaxy, because I find it to be very user-friendly and it is also very affordable. It has helped me come up with a lot of great long tail keywords, like “How To SEO An Article”, which is the one that I’ve used in this post. Search engines eat up new content, so if you are adding content to your site on a regular basis, you should see a bump in rankings. The more content that you have, the more opportunities you have to rank for more keywords, which should result in more traffic. It’s also helpful to try to maintain a consistent posting schedule. If you can only post once a week, try to do it on the same day each week. Same applies if you’re able to post several times each week. What you’ll want to avoid is posting one day and then not again for three weeks. Then post two days later with nothing to follow for a month. If you’re struggling with how to get blog content, there are freelancing websites where you can have articles written for a prize as mentioned on this post. Trying to get tricky with the search engines can land you in some seriously hot water. If your website is important to you, I would advise you to not try it. Search engines penalize websites by placing them on a “blacklist”, and once they are on that list any rankings that the site once had are gone. While it is possible to request removal, there are no guarantees and most sites will never recover. They just end up fading away into cyberspace wasteland. Overdoing the use of keywords in your article can have the opposite effect of that in which your after. Not only can you be penalized for forcing the use of them, but it will be an instant turn off to the visitors of your site and will drive them away as fast as they arrived.If you want the right way on how to SEO an article, do not force the use of keywords. Use keywords naturally within your content and spread them out throughout the entire article. Cornbread stuffing is good, keyword stuffing, not so much. Keyword stuffing is basically a little trick that used to work, but not now. Crafty webmasters would leave a bunch of “white space” at the bottom of their posts and then after they finished with the article they would flood this empty space with keywords. To mask the keyword stuffing so that the website’s visitors didn’t see what they were doing, the webmaster would color the font to match the background. This made the text invisible to the reader, but the search engines would pick it up in the coding. While using competitive keywords won’t get you in trouble with the search engines, it will make it very difficult to get any type of meaningful rankings. Only about 8% of searches go on to the second page of results. 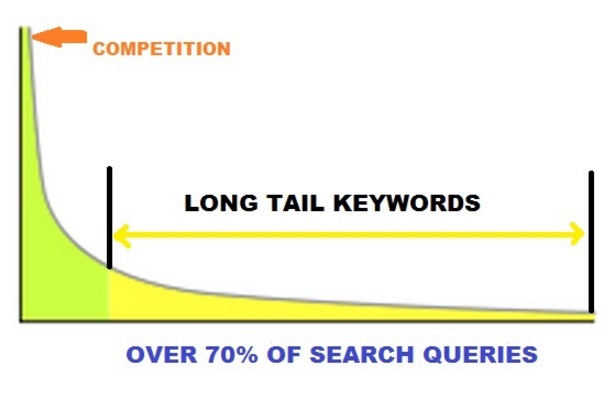 Find low competition, long tail keywords. 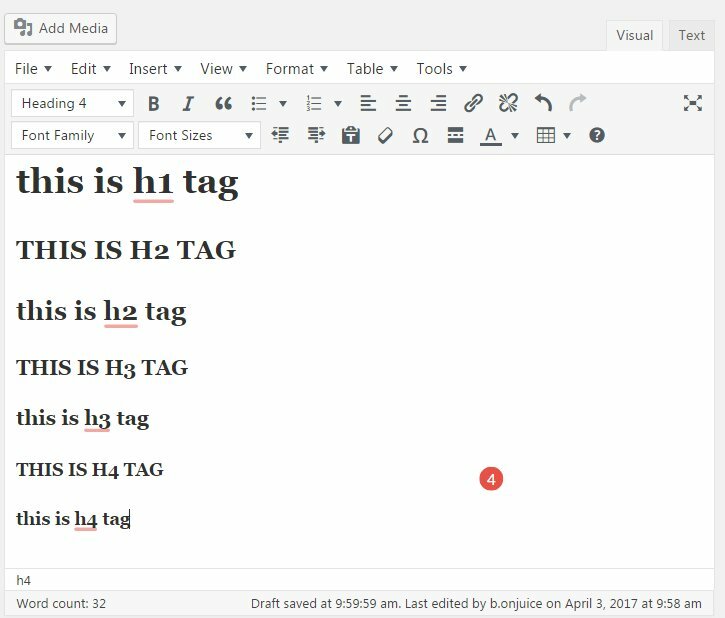 Use the keyword phrase in your Title <H1> tag. Use the keyword phrase in your post URL. Use the keyword in a relevant image file name and in the Alt tag. Try to use the keyword in the opening paragraph of your article, and then use it sparingly and only when it naturally fits in the content from that point forward. Use other header tags throughout the article to break up your content and try to use the keyword in one more of the tags, preferably the <H2>. Avoid shady “Black Hat” techniques that can end up costing you big in the long run. I hope you’ve found this post informative and that it helps you not only with the proper ways to use SEO to your advantage, but also keeps you from making some mistakes that could end up costing you big in the long run. If you’ve enjoyed this article on how to SEO an article, please share it on all of your favorite social media sites. I also would encourage you to sign up for the best program out there by clicking the banner below, I wrote a long review about the program here how they helped me get started online. For someone who struggles with SEO, this article is a great reference for me to learn from. Thanks so much for posting! You are welcome Kate,glad you found something of value here.SEO is not as hard or as scary, im sure if you follow these steps, you`ll be fine. SEO always eludes me. I feel like it’s the golden ticket only few understand- thanks for sharing this info. It certainly helps! Thanks Amber,SEO should not be hard,in my opinion, it`s just scary if you do not know how it`S done but in reality it`s easy and will really help your site rank better. This is extremely helpful, thank you! I am still trying to figure out SEO for my blog, but this article has some great tips and tricks! Thanks,glad you liked the post, SEO takes time but if you follow these simple steps, you will see your site rank improve.